Paulus Jacobszen TURCK (1635 – 1703) was Alex’s 10th Grandfather; one of 2,048 in this generation of the Shaw line. Paulus Jacobszen Turck was born in 1635 in Den Haag, Zuid Holland. He was baptized on 31 Oct 1637 in Princehagen, Noord Brabant, Netherlands. His parents were Jacobus TURCK and Sarah JANS. He married Aeltje Barentse KOOL on 12 Sep 1660 in New Amsterdam. NY. 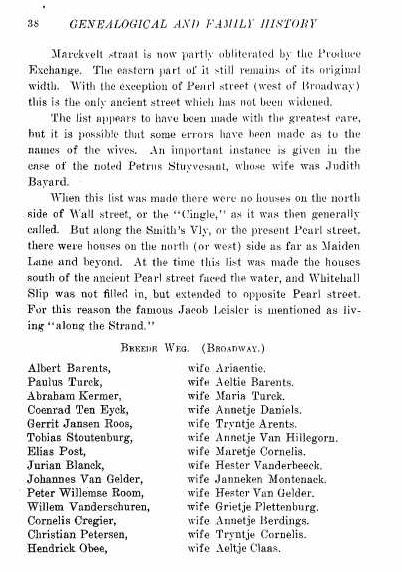 In 1686, Paulus and Aeltje were living on Brede Weg (today’s Broadway) Paulus died in May 1703 in New York, NY. Aeltje Barentse Kool (Coel) was born 23 Sep 1640 in New Amsterdam NY. Her parents were Barent Jacobsen KOOL and Marretje Leenderts DeGRAUW. Aeltje died in 1693 New York City. Baptismal records of Princenhage, North Brabant, Netherlands; witnesses were Paulus TURCQ , Secretary of Princen-land and Cornelia Van STREYEN, his paternal grandparents. No baptisms for siblings were found in the record. Paulus was a member of the Dutch West India Company. 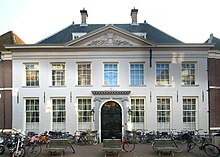 The West India House in Amsterdam, headquarters of the GWC from 1623 to 1647. This lineage may have originated in India or Pakistan, and has dispersed into central Asia, Europe, and the Middle East. The G2 branch of this lineage (containing the P15 mutation) is found most often in Europe and the Middle East. Paulus migrated from the Netherlands to New Amsterdam, where he married in 1660. He was known as His High and Mightiness from the Dutch West India Trading Company. His lineage has been traced to Pascasius Justus TURCQ (1531-1584), who was associated with first Flanders and then Noord Brabant. Chronology, geography and Y-DNA seem to suggest that the origin of this branch of the TURK surname is grounded in the Spanish Netherlands with genetic roots reaching into Moorish Spain. The year 1500 is frequently associated with the rather general emergence of surnames in Western Europe. The terms “Turk” and “Moor” were frequently used interchangeably. It seems plausible that this is the root origin of the early New York Turk family name. Psychoanalysts such as Sigmund Freud were not the first ones to offer a purelymedical explanation of ‘problem gambling’. Indeed, as early as 1560, Pascasius Justus Turcaeus, a humanist and physician from Eeklo, a small town in Flanders (Belgium),wrote the very first medical monograph on compulsive gambling. The work, first issued by Joannes Oporinus at Basel in 1561, was entitled Alea, sive de curanda ludendi in pecuniam cupiditate. The title clearly reveals the author’s intentions. Contrary to the moralizing discourse of contemporary clerics who considered gambling indicative of man’s greed, Pascasius offers a medical explanation of the socially disruptive phenomenon and, consequently, proposes a medical treatment for those people who find themselves afflicted by the disease. Pascasius’ diagnosis was firmly rooted in a humoral theory that was heavily dependent upon Aristotle’s and Galen’s writings. Compulsive gambling is regarded as a passion or mental disturbance that results from both a hot or sanguine temperament and melancholy. 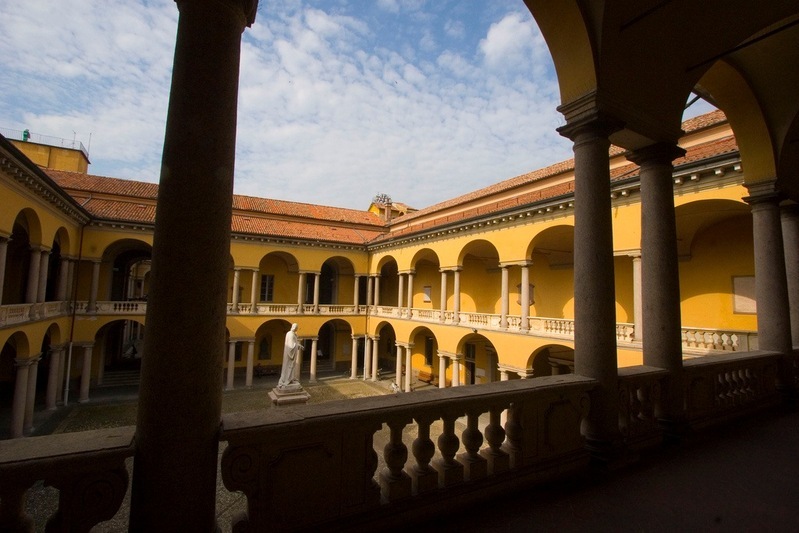 Despite his insistence on the physiological cause of compulsive gambling, Pascasius did not propose a medical treatment based on the prescription of a proper diet or the administration of special drugs. Rather he drew heavily on ancient moral writings – including Galen’s – to devise a detailed psychotherapy which depended first and foremost on the application of cognitive strategies. According to Pascasius, persuasive words were needed to dispel the wrong opinions that created and maintained a gambler’s mental disorder. ecclesiastical author Jean-Baptiste Thiers for his moralizing treatise on games of 1686.
treatise had already fallen into almost complete oblivion. Galen. Traditionally, these texts were commented upon in quaestiones and disputationes which were primarily aimed at solving discrepancies by making use of a strictly scholastic method of reasoning according to Aristotelian logic. This system remained more or less intact in the course of the sixteenth century. Yet, medical education did change considerably at that time. dialectical line of reasoning. Nor does his style smack of scholastic aridity. As the author points out in the preface to the reader, his treatise originated from a public oration held in Bologna. In reworking his speech, Pascasius made sure to adopt a smooth and quiet style best suited for an exposé that was more aimed at instruction than emotional stimulation. In fact, Pascasius seems to have followed the lead of Galen himself in adopting a quite leisurely way of writing in which argumentation and narration go hand in hand. Indeed, Pascasius likes to pad out his lessons with examples and anecdotes, some of which are derived from personal experience, while others are taken from classical literature. Thus, he delves into Suetonius’ Vitae Caesarum: the behaviour of the emperors Augustus, Caligula, and Domitian – all of them passionate gamblers – is said to prove that gambling has no connection with avarice but rather with prodigality. Our author appears to be particularly fond of Terentian comedy. Although his plays do not contain any detailed description of a compulsive gambler, they do feature a number of characters who reveal a specific temper or mental disturbance. Tellingly, some of the passages quoted are accompanied by a short philological aside: as a humanist physician or a medical humanist, Pascasius was eager to demonstrate his hermeneutic skills. Pascasius is of the opinion that greed (or prodigality, for that matter) does not suffice to explain the disruptive behaviour of compulsive gamblers. It only offers a partial explanation, as it is only the causa (finalis) intermedia.26 What really drives compulsive gamblers is a particular attitude or disposition which compels them to try their luck against their better knowledge and never to give up, assuming that sooner or later the tide must turn to their advantage. In other words, compulsive gamblers are fundamentally characterized by a peculiar kind of narrow-mindedness which makes them lose their sense of reality. (Sources: Encyclopedia of Noord Brabant/ Navorscher 1889, 1914, 1923/ De Nederlandsche Leeuw 1914, 1915, 1917/ De Wapenheraut 1918, 1919. Paulus’ wife Marretje Rijerse Martens was born 16 Nov 1664 in Brooklyn, Kings, New York. Her parents were Martin Ryerson and Annetje Rapalje. Marijken’s husband Abraham Kermer was born in 20 Aug 1661 in New Amsterdam. His parents were Abraham Kermer and Metje Martha Davids. Abraham died 21 Aug 1727 in Kings County, New York. Helena’s husband Johannes Borger (Burger) 1665 in New York City. His parents were Borger Joriszen Van Hersberg and Engeltje Mans. A Johannes Burger died 31 Mar 1733 in New York City. Sara’s husband William Roome was born 17 Apr 1692 in New York City. His parents were Pieter Willemse Roome and Hester Van Gelder. William died 10 Dec 1759 in New York. Cornelis’ wife Lysbeth Van Schaick (Schayk) was born 23 Jan 1683/84 in New York City. Her parents were Hendrik Cornelissen Van Schaick and Neeltje (Cornelisse or Hendrickse) Stelle. Johannes ‘ wife Annetje Cornelis Kuijper (Cuyper) was born 18 Oct 1682 in Brooklyn, Kings, New York. Her parents were Cornelius Kuyper and Aeltje Teunise Bogaert. Her sister Hillegout married Johannes’ cousin once removed Ahasuerus Turck. This entry was posted in 12th Generation, College Graduate, Immigrant - Continent, Line - Shaw, Public Office, Storied and tagged 1st Study of Gambling Addiction, Pascasius Justus Turcq. Bookmark the permalink.